The arts and sciences have always provided powerful tools for understanding the world we live in, and with technology developing at exponential speed, these disciplines have become all the more vital. Recognizing this, Animation MFA candidate Evan Tedlock and Chemistry PhD student Kyle McClary have come together to found The Bridge Art & Science Alliance, an interdisciplinary initiative that harnesses the strengths of their specialized fields while laying the building blocks for innovative media. BASA’s founders launch the 2016/2017 academic year with a mixer on the School of Cinematic Arts lawn. The Bridge Art & Science Alliance (BASA for short) fosters the convergence between art and science by providing USC students in both disciplines with the networking resources and funding to collaborate on creative projects. 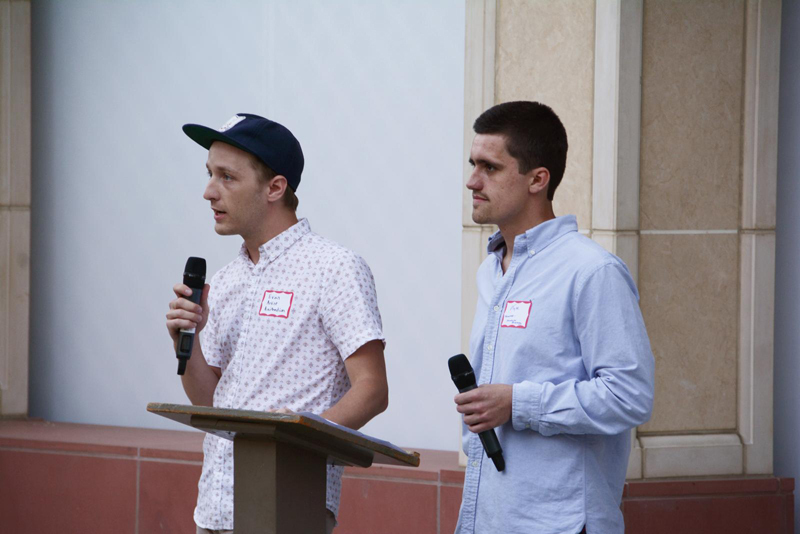 Tedlock and McClary conceived of their idea during a student retreat on Catalina Island in the fall of 2015 that was hosted by the USC Dornsife College’s Bridge Institute, which brings together USC communities from the sciences and the arts to work on projects aimed at greater understanding of the human body and curing disease (e.g. eminent professors work together; or students can join research projects). Tedlock and McClary were paired up amongst numerous other students and challenged to come up with a proposal for a grant that would be awarded by the end of the retreat. “We spent all night trying to decide what type of interdisciplinary project to pitch until finally it hit us: instead of pitching a single project, we could pitch a program that would catalyze a host of art/sci projects,” says McClary. While science media has the tendency to take on didactic forms, BASA aims to support projects that challenge traditional models. “We are experiential beings so traditional data analysis can be a step removed from the way we experience life," Tedlock says. "I’m interested in promoting projects that take data and contextualize it less on a cognitive level and more on a visceral one,” says Tedlock. Although BASA was established less than a year ago, it has already launched three major projects—a cinema vérité style exploration of opioid addiction in the United States, an immersive virtual reality reconstruction of a single human cell, and research into therapeutic virtual reality applications for pain management and Parkinson's. In addition to building a centralized database of artistic and scientific research pursuits on campus, BASA hosts idea sessions and social events aimed at connecting scientists with artists. 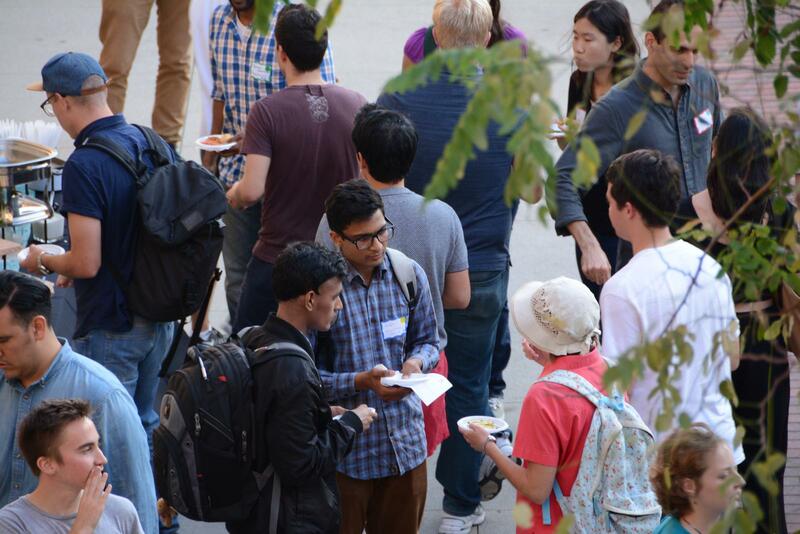 In September they kicked off their first mixer of the 2016–2017 academic year. Hosted on the lawn of the School of Cinematic Arts' Meldman Family Cinematic Arts Park, attendees participated in icebreaking games ranging from telephone pictionary to a social scavenger hunt. “In many ways, we act as glorified matchmakers. We ask that anyone interested in what we’re doing come over and talk to us,” says Tedlock.